Construction on Superior’s East High School began in 1922. When its doors opened to students in 1924, the school served students from the city’s East End, Central Park, Allouez, and Itasca neighborhoods. 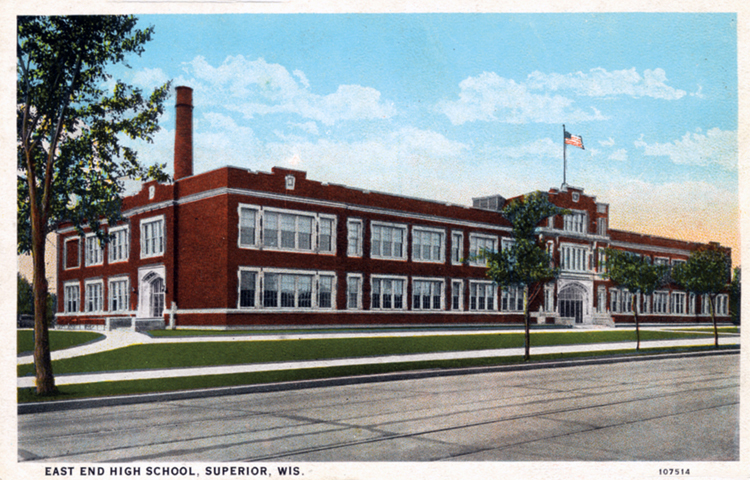 With Superior’s population on the rise, it became a four-year high school in 1950, its athletic teams competing under the name “Orientals.” In 1965 Superior built a new high school and consolidated East and Central, and East was converted to a junior high school and, later, a middle school. The school was demolished in 2004.